Our app lets you order on the way, pay with your phone, track Stars and Rewards, find stores, and so much more. 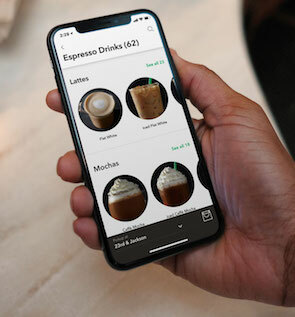 The Starbucks® app for iPhone® makes it fast and easy to pay for your favorite drinks and food. Order on the way with Mobile Order & Pay and tip your barista. You can even identify the songs playing in our stores. Get the app now at the App Store. 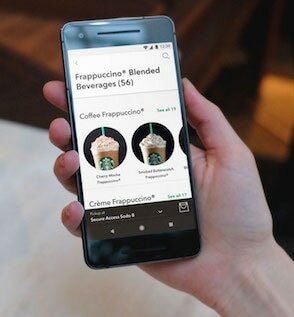 The Starbucks® app for Android™ includes Mobile Order & Pay, so you’ll always have time for a Starbucks run. You can also tip your barista, Shake To Pay and identify the songs playing in our stores. Get the app now on Google Play.